Inspector John Donahue succumbed to a gunshot wound sustained six weeks earlier while investigating a complaint from a man that his wife had stolen $650. The man had filed the complaint with the desk officer and was told to come back in the morning to speak with detectives. When the man returned he was interviewed by Inspector Donahue, who then located the woman at the train station attempting to leave with her boyfriend. The man, woman, and boyfriend all returned to the police station where the woman denied being married to the man. Inspector Donahue requested that the man obtain his marriage certificate and return to the scene. When the man returned, he observed Inspector Donahue interviewing the woman and became enraged. He shot Inspector Donahue with a pistol he had obtained when he went to get the marriage certificate. The suspect then went into an adjoining officer and committed suicide. 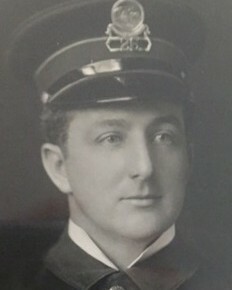 Inspector Donahue was taken to St. Mary's Hospital where he died six weeks later. 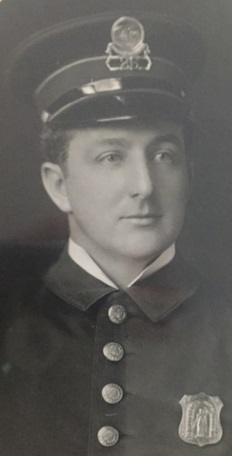 Inspector Donahue had been with the agency for 17 years. He was survived by his wife, daughter, and three sons. The incident occurred on the day before his 40th birthday.